Harvard political scientist Theda Skocpol issues a devastating critique of the environmental movement in her analysis of why there has been so little action on climate change and global warming during the first term of the Obama administration and why, if environmentalists don’t change their strategy and tactics, there might not be much progress in Obama’s second term. Like many, we thought the problem was the president’s apparent decision to duck the issue during his first four years in office, expressing concern about climate change, but being unwilling to risk any political capital in that direction, much like his strategy around comprehensive immigration reform. Skocpol argues that the problem was among the leading environmental groups that thought they could work an insiders’ game with members of Congress to get climate change legislation passed. According to Skocpol, they misread Congress, they misread the political environment, they didn’t grasp the Tea Party agenda, and they failed to build a broad base of support to counter the right’s persistent efforts to challenge or debunk climate change research. Skocpol’s paper largely focuses on the U.S. 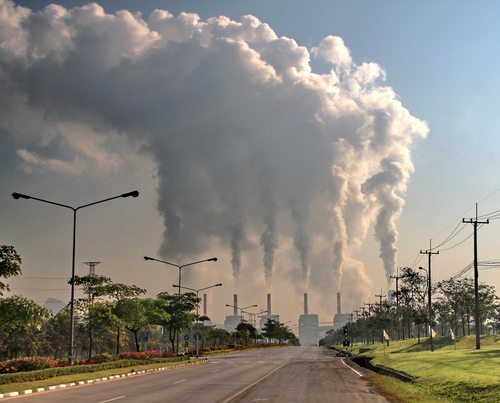 Climate Action Partnership, a coalition of business leaders and environmental groups aiming to push for “cap and trade” legislation that would cap permitted carbon emissions and establish a market for trading emission allowances among energy producers. She describes USCAP’s largely inside-the-Beltway strategy that failed to account for how much of the American public bought into the “research” that purported to challenge climate change research. In addition, Skocpol thinks USCAP failed to understand the extent to which some conservatives stoked fears that cap-and-trade would harm businesses and cost jobs at a time when the American economy was fragile and in the middle of the recession. She suggests that part of the problem is that the environmental groups tend to be run and staffed by “scientists, lawyers, and lobbyists devoted to spreading scientifically backed messages to policymakers who are presumed to want to work out rational plans to solve problems.” These are people who assumed, according to one environmental leader interviewed by Skocpol, “‘that if you just realized the truths I know, you would agree’ that the United States must take immediate strong actions to curb carbon emissions and mitigate global warming.’” They thought they had Sen. John McCain (R-Ariz.) on the side of cap-and-trade, but that faded not long after he chose the “drill baby drill” governor of Alaska as his running mate. They thought they could convince congressional Republicans, but they were shocked and stymied by the Tea Party victories in 2010 that unseated some Republicans who might have been open to cap-and-trade. Also, they discovered that the technocratic former governor of Massachusetts who won the Republican Party’s nod for president had succumbed to the Tea Party wing and voiced opposition to climate change action. Trusting in rationality and the power that they presumed science and truth would hold with lawmakers, USCAP lost the momentum and even, according to Skocpol, helped generate some of the fierce opposition that climate change legislation encountered. “The USCAP campaign was designed and conducted in an insider-grand bargaining political style,” Skocpol writes, “that, unbeknownst to its sponsors, was unlikely to succeed given fast-changing realities in U.S. partisan politics and governing institutions.” She contrasts USCAP’s insider approach on cap-and-trade with the inside-outside strategy of Health Care for America Now (HCAN), which many people credit with much of the progress on health insurance reform. There may be another factor. While health care reform and cap-and-trade are both based on the existing market structure of the economy, HCAN was clearly a movement from what Skocpol describes as the “left edge of the possible.” In contrast, the USCAP approach was to find a much more moderate, business-friendly posture, perhaps with the aim of helping conservative lawmakers find elements of cap-and-trade they could attach themselves to and support. However, that middle-of-the-road approach didn’t garner a grassroots movement and failed to impress many of the new, far-right Republicans elected in 2010. Skocpol takes on two of the explanations offered by environmental activists for the failure of cap-and-trade with a sharp analysis. On the charge that it was the difficult economy of 2008 and 2009 that undermined cap-and-trade legislation—the idea that President Obama and Congress were solely focused on economic recovery—Skocpol notes that the president was clearly willing to pursue the equally difficult health care reform legislation despite the recession. On the idea that cap-and-trade died because of a lack of leadership and commitment from the White House, she has no patience for the Monday morning quarterbacking commentary of the losing team. She describes the Obama White House approach as based on a “well-considered strategic playbook that makes good presidential sense” concerning when and how to use the president’s role and influence, concluding that the White House’s work on cap-and-trade was stymied by a USCAP strategy that wasn’t about to win. Ultimately, Skocpol suggests that the environmental groups failed to realize just how polarized the Capitol was—and still is—on environmental issues (i.e., even more so than on health care reform). She notes that a business-friendly approach to global emissions strategy didn’t win over skeptical Republicans and, to make matters worse, some environmental groups, such as the Sierra Club, could not be won over to the business-friendly model.